Dergvale Hotel i Dublin, Irland: Bestill nå! 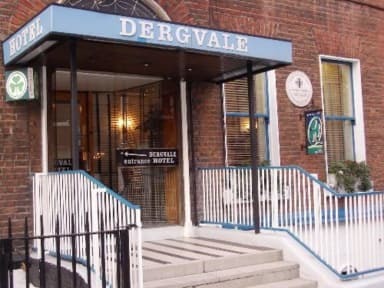 The Dergvale Hotel is a family run 2* hotel with an excellent city centre location in Dublin City Centre. The hotel provides bed & breakfast accommodation and is ideally situated only 5 minutes from O'Connell Street. It is a perfect base from which to explore Dublin city's many top attractions including the main shopping districts: Henry Street and Grafton Street, Trinity College, Dublin Castle, Christchurch Cathedral, Guinness Storehouse, Temple Bar, Croke Park, Grand Canal Theatre, Museums, Restaurants and much more. Complimentary WIFI available in public areas. Enjoy a traditional Irish Breakfast in our dinig room. Beverages are served in our fully licenced bar with a relaxing, friendly atmosphere and where a warm Irish welcome awaits you. Guest bedrooms are comfortable and well appointed, furnished with ensuite shower bathrooms, hairdryer, colour television, direct dial telephone and wake-up call service. An iron and ironing board and tea/coffee are available through reception. 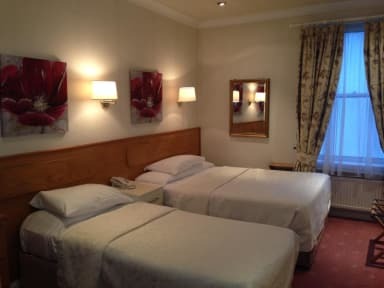 Whether your stay in Dublin is for business or pleasure the Dergvale Hotel has an ideal location for Dublin accommodation, where a courteous and efficient staff are on hand to make your stay in Dublin enjoyable and memorable.